Fanfold Well Log Printer for the Office, Field & Offshore. iTerra Lite is the best mobile printer that advances the quality of well log and chart printing with the introduction of high resolution color. Color Well Log Printing Just Got Easier with the Ease of Mobility! Developed for the unique requirements of the Geological and Geophysical industries, the iTerra Lite is a mobile printer that advances the quality of well log and chart printing with the introduction of high resolution color. The versatility of this product is virtually unmatched, with this well log printer being capable of fitting in any office environment, rackmounted directly in trucks used in the field or placed in control rooms offshore. This resilient plotter is field ready for the demands of the well logging environment. 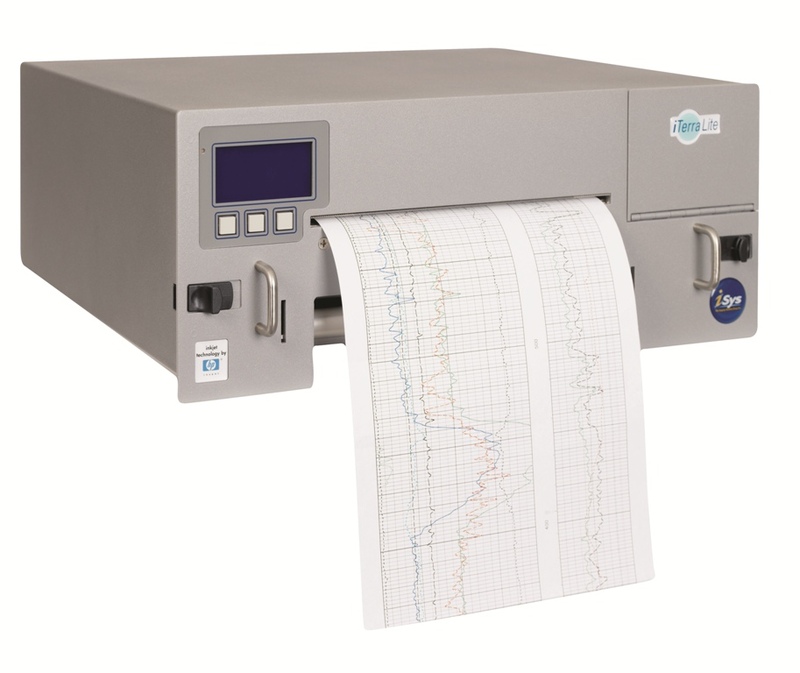 Ready for use in either rackmount or desktop style, this machine has superior well log plotter functions, a user friendly interface and is next to effortless to maintain. The rackmount version fits in a standard 19" (482.6 mm) rack and takes up four vertical units. Other mounting options are available. Utilizing HP color inkjet technology, the iTerra Lite delivers high quality, color well logs in any environment you may need. User intervention is minimal. The qualified fanfold paper has a top of form mark that ensures the printer aligns the first page automatically for every job - allowing you to load once and print many.